It hardly requires any explanations. In most cases, we use standard names of genera. In such cases when a modern science reasonably substantiated the necessity of name changes a new name is used which is not generally accepted yet. There is no place in the Database for this information especially for the discussion on this subject. The place for all of this is the Taxonomic Rubrics. If there is any problem with the name of the genus or species, please access the appropriate Taxonomic Rubric. Try searching for the necessary information there. If you create a cultivar description for those genera and species that are in the base list, then these fields have been already filled. If they are empty, they must be filled very carefully. The principles of cultivars nomenclature are thoroughly elaborated by the international community. Different in all respects people are active in ornamental woody plants breeding. We think it's not an exaggeration to say that most of these people are amateurs. They do not have special education and consider this activity as a hobby. This does not prevent them to create wonderful cultivars which are widely spread around the world. They solve cultivar name problem simply: name them as they can by intuition. Meanwhile the principles of cultivars nomenclature are not less strict as the principles of genus and species nomenclature. They are in a very serious document – the International code of nomenclature for cultivated plants. The first document addition was published in 1953. The last 9th edition was published in 2016 (NEW EDITION OF THE INTERNATIONAL CODE OF NOMENCLATURE FOR CULTIVATED PLANTS. Published by the International Society for Horticultural Science (ISHS) in the series Scripta Horticulturae. Scripta Horticulturae 18, 190 pages, June 2016 [ISSN 1813-9205 - ISBN 978-94-6261-116-0]. “The International code of nomenclature for cultivated plants” like all other nomenclature codes does not have the status of national and international law and the observance of the established rules is voluntary. So there is nothing wrong with that a substantial part of widespread ornamental woody cultivars was named with the breach of the code. De jure they can not be recognized by the international community. However de facto they are accepted and widespread. Naturally we will use them. Henceforth when naming a new cultivar, we recommend you to honour the code if possible. Therefore we publish the basic regulations here. Cultivated plants do not have a natural population structure. They exist in the form of artificial population, created and spread by human. Therefore the botanical hierarchy of infraspecific categories is inapplicable here. It was replaced by a system based on the taxonomic category cultivar. A cultivar is any group of cultivated plants which is clearly delimited by certain features and keeping these features in sexual and asexual reproduction. A cultivar may be a clone, a group of indistinguishable clones, line or lines of autophilous or inbred individuals, a number of allogamous individuals or a group of individuals, split by their features in each case of cross breeding, hybrids of the first generation, for example. The question of the origin of one or another cultivar is not significant. They generate both in nature and in culture: spontaneously, as specifically caused deviations from a wild type or as artificial hybrids. It is important that they are distinguishable by features and supported by cultivation. Names and descriptions of cultivars should be published in the print media with the indication of the introduction year. In fact, only a few outstanding cultivars are awarded with this. The rest appear only in price lists of nurseries or in plant lists of individual collectors. We hope that with time, the publication of information on new cultivars on internet-sites, like ours, will be recognized by the international community and equated with a print publication. Names of cultivars are written with a capital letter. They are preceded by a reduction cv. (cultivar), or they are enclosed in single quotes. Both variants are considered equally correct. Names of cultivars are usually used in combination with generic or specific names, as well as the names of hybrids. The Latin name of the genus and species in this case is written in italics and the cultivar name, even if it is Latin – in conventional (Roman) type: Pinus sylvestris cv. Watereri or Pinus sylvestris 'Watereri'. It is permitted to omit the specific epithet: Pinus cv. Watereri. In practice it is used rarely, namely only in those genera where the interspecific hybridization is widely used for cultivar breeding. It is rare in conifers nowadays. 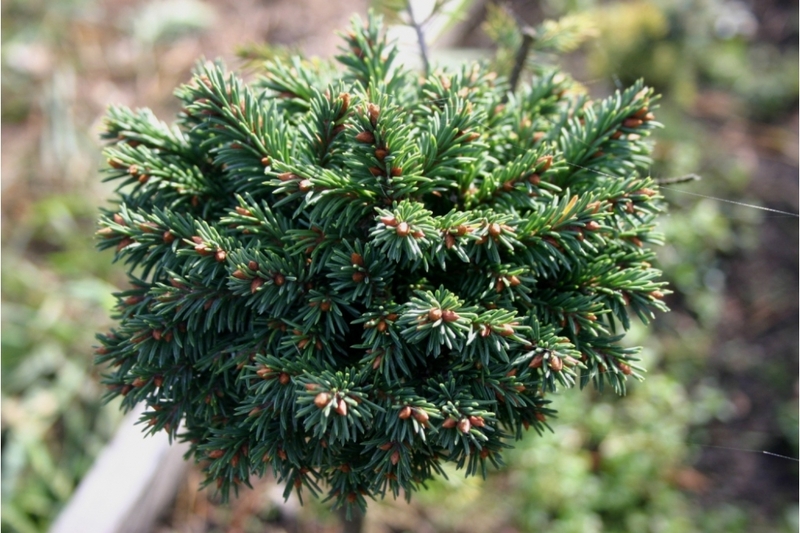 Most conifer cultivars are vegetative propagated mutants of a particular species, more rarely of a particular simple interspecific hybrid. Therefore we recommend not omitting the specific epithet in the cultivar name. It is permitted to use national names of genus and species: Scots pine cv. Watereri or pine cv. Watereri. According to the rules, only one cultivar belonging to a given genus can have given name. So, we can not give the cultivar Pinus sylvestris the name 'Wintergold', since there is already the cultivar Pinus mugo 'Wintergold' therefore the use of acceptable cut cultivar name Pinus 'Wintergold' would lead to ambiguity. In fact, this rule is very often broken in those genera, where the specific epithet is ALWAYS preserved in cultivar names. There is nothing bad in this. The names of cultivars must be taken from modern languages but not from Latin. It is possible to use only international name, written in the Latin alphabet. But at the same time you can give the national name to the cultivar in a language using any alphabet. Usually it is the native language of the originator of the cultivar. Latin names were allowed only until January 1, 1959 but you can not give them to new cultivars. This rule is broken more often than not. (6) excessively long and unpronounceable words. 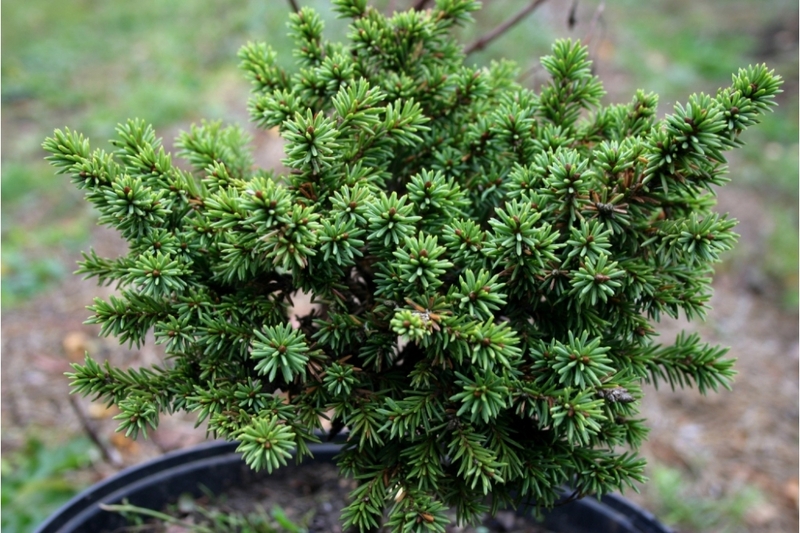 The first of these rules concerning conifers is broken 10 times more often than followed. The majority of witches’ brooms named according to the place of its finding. It is understandable. How can an originator name them if some species have thousands of witches’ brooms? Nevertheless, let's try. The break of the second rule is also not a rarity. It is usually broken with the first rule: in one place people find several witches’ brooms and give them the name of the place plus a number. We are making every effort to overcome and eradicate this bad practice. Each cultivar has one correct name, which is known internationally. In relation to cultivar names there are usual rules establishing priority and synonymy. The priority principle can be broken only if the name has been widely spread. In addition, a cultivar name can have one or more legal synonyms. In a country where the correct name is not acceptable from a commercial point of view, a commercial synonym can be used instead. The names of cultivars can be transliterated (i. e. written according to the rules of a language, so that the word can be read as close as possible to the original name). It is not prohibited to translate a name but the code does not recommend doing it. Translated and transliterated names are considered as synonyms. Taxa below the cultivar rank are not recognized by The International code of nomenclature for cultivated plants. A cultivar which has essential differences from the parental cultivar as a result of breeding is regarded as a separate new cultivar. It is a problem. There are thousands of witches’ brooms. Some of them are fertile. So, they can give thousands of offsprings from open pollination. Each of them will have the right to be considered an independent cultivar, because will have an individual and unique genotype. What shall we do? To start with we can discuss this issue on the Forum. We strongly recommend naming new cultivars in accordance with these principles. For old already named cultivars, you need to use their original, international and national names. The original name is the name, which originator gave to the cultivar. It can be in any language. If it is English or Latin, the original name is at the same time considered as its international name. An international cultivar name which has an original name in any other language is transliteration (but not a translation by no means!) of the original name in English. 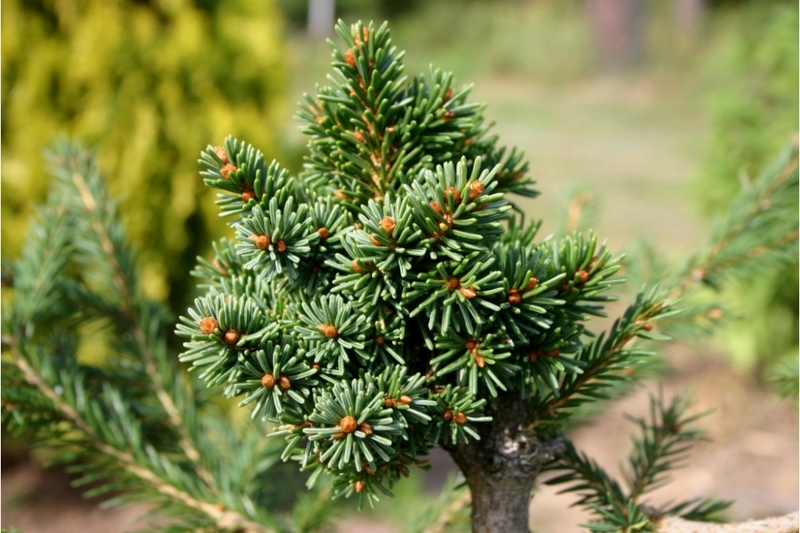 For example, the cultivar with the original name Picea glauca cv. 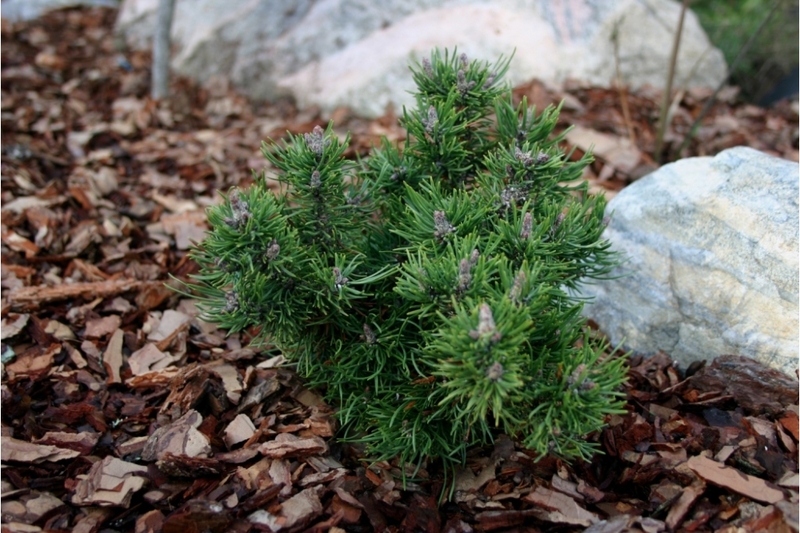 Litomyšl Sport will have the international name Picea glauca cv. Litomyshl Sport. 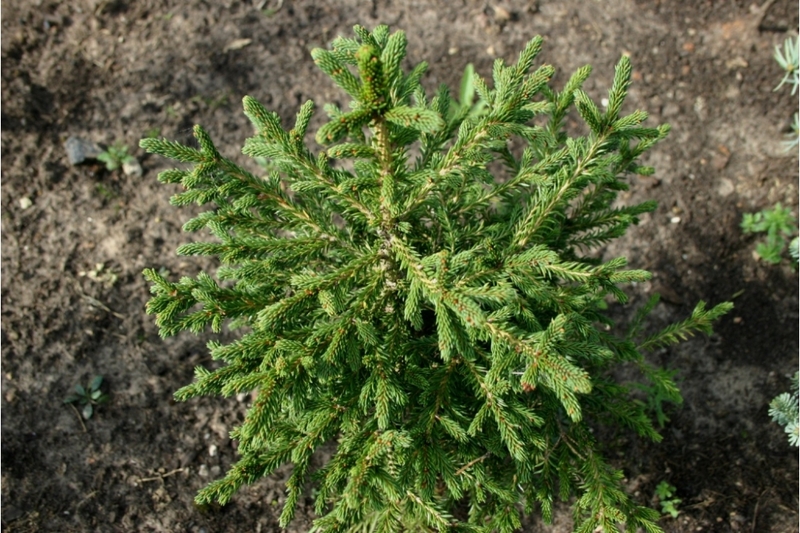 The cultivar with the original name Pinus sibirica ‘Президент’ will have the international name Pinus sibirica ‘Prezident’ (not ‘President’). And so on. The main name of the cultivar in our country is its international name. It is used in Search and in Brief cultivar description. Our database is being created first for the accumulation of the information on Russian cultivars. Russian means brought under cultivation by (1) Russian breeders (2) breeders from other countries who in some way associate themselves with Russia, (3) breeders from other countries whose cultivars are based on Russian genetic material. 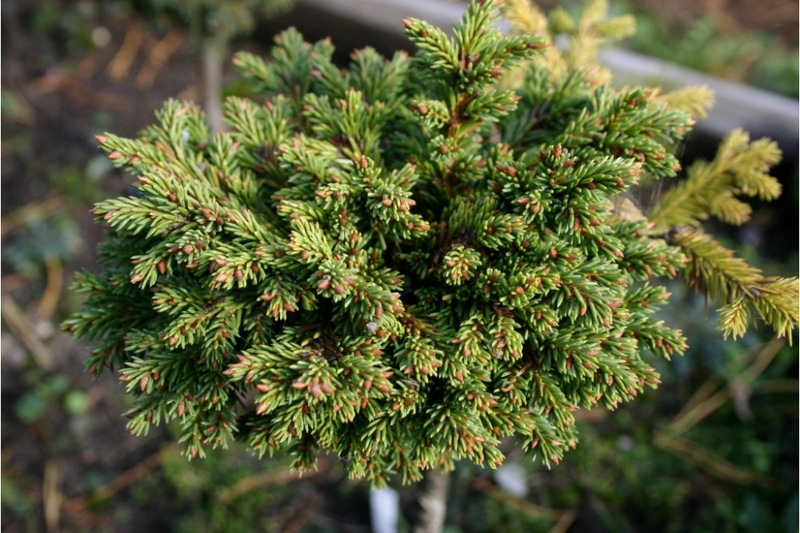 We have very few Russian conifer cultivars hundreds of times less than the foreign ones. This gives us a chance to make a list of them all and continue doing this in the future. 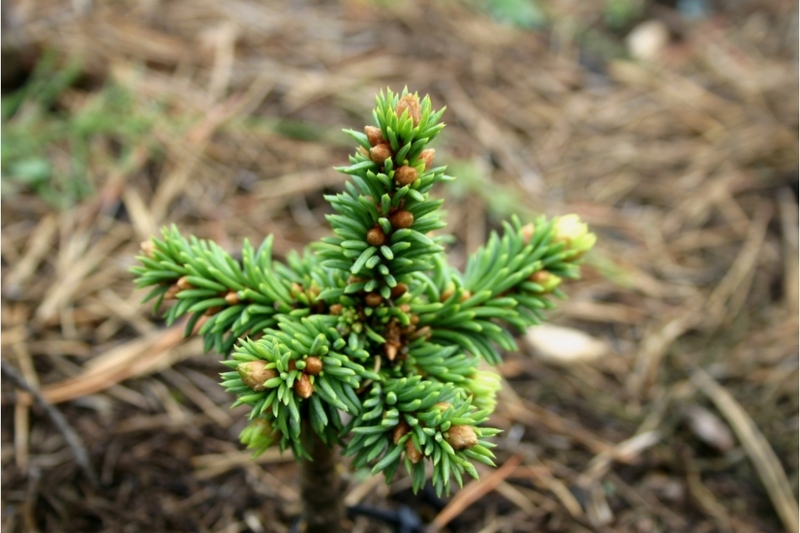 At the same time, the most important task of our Society is testing of the world conifer treasure in Russia. Therefore, with time, we intend also to collect the information on foreign cultivars in our database, those cultivars that are promising for growing in Russia. Usually it is the year of the first grafting or rooting of a scion. If it is something else, it will be explained in the field "Origin" of complete cultivar description. We took the scale of American Conifer Society as a base. However, in our opinion, the range of dwarf cultivars in this scale is too broad. Therefore at Alexander Vereshchak’s suggestion we have divided it into two ranges: dwarf and semidwarf. The growth rate and plant size is indicated for the dimension where they are maximal, i.e. for some cultivars it may be height, while for others it may be the width of the crown. The section was filled by selecting from the given variants. If the color of leaves is seasonally variable, the option «seasonally variable» was chosen, and then two or three other options in chronological order (spring-summer-autumn-winter) sequence. A person who introduced the cultivar first: found, named, propagated, described. There is no information about the originator of old cultivars; usually there is only the name of the person who first described a cultivar or published the description of it. We will consider them as originators. Sometimes it is not so easy to determine who is an originator of modern cultivars. For example, an absolutely accidental person who has no relation to breeding can find a WB. It is clear that in this case, it is logical to consider as an originator not him but the one who really introduced this cultivar in culture. It can be several originators. A cultivar is a creative achievement, so there can be a co-authorship to create it. The first saw a WB, the second took it from the tree, the third (and it’s only him who) propagated WB by grafting. Such situation is quite possible: a few WBs were found by the expedition, the members of which have agreed to consider all WBs as a product of collective creativity. It is their right. In our Database the maximum number of originators for one cultivar is 4. The names of Russian originators are written in Cyrillic, foreign are in Latin in English transliteration. It hardly requires any explanations. In most cases, we use standard names of genera. In such cases when a modern science reasonably substantiated the necessity of name changes a new name is used which is not generally accepted yet. There is no place in the Database for this information especially for the discussion on this subject. The place for all of this is the Taxonomic Rubrics. If there is any problem with the name of the genus or species, please access the appropriate Taxonomic Rubric. Only one photo is here (the rest are in Complete cultivar description). The ideal variant is a general view of the cultivar at the age of 10 years old in a season of maximum decorative effect. If there is no such photo yet, the best one at the moment was loaded here.